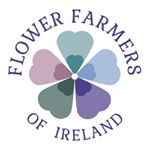 Throughout the year we offer classes, talks and workshops on growing and floristry, both on site and at external venues in Munster. We are also available for bookings for talks, demonstrations and workshops for private groups. Please contact Sarah for more information. A half day workshop focusing on using seasonal cut flowers and foliage to create beautiful arrangements, using foam-free techniques. As well as learning tips and techniques for getting the most from your flowers, participants will make their own arrangement to take home with them. This is a relaxed and social learning environment, and suitable for anyone who enjoys the beauty of natural, seasonal flowers. Spaces on the workshop are limited, so booking with a deposit (€20) is essential. Call Sarah on 086 1200 269 to book a space. Course cost is €55 which includes all materials, flowers and refreshments.